Fashion is a word a lot of people have in mind painted with the brightest, happiest and “sparkliest” colors. The term represents beauty and glamour, but, although it brings positive thoughts and images to everyone, sometimes looks unapproachable to a lot of us in a financial way. That’s actually partially right, because, behind the word “fashion”, there’s a huge industry of haute couture creations, expensive footwear, avante-garde brands, glamourous events, etc. that only a few of us can participate in. But, as the 16th President of United States Abraham Lincoln used to say, “We can complain because rose bushes have thorns, or rejoice because thorn bushes have roses”. I truly believe that the most important ingredients of the fashion recipe are people; people that love clothes and have the talent to overcome the financial difficulties of shopping. But enough with the introduction... In this article I’m going to share the steps I always follow before I go shopping; these steps are very helpful in every beginning of a new season when you have to spend a lot of money to dress yourself. Take a moment and read the article, before you set yourself loose in a mall with a wallet full of savings and credit cards, because, we all know that catastrophic things can happen! 1. 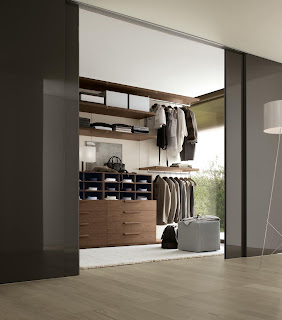 Organize your wardrobe! Take all your clothes out of wardrobes, attics and basements. First, you have to do a selection of the wearable ones; the ones that are in a good condition. Then, you have to try all of them and see which fit. I suggest you pack and save the ones that don’t fit at the moment, because a lot of changes can happen to our bodies! Also, you should take care of the other season’s clothes to save money next year! Now, with a re-organized wardrobe you have a clear image of your needs! 2. Think of new combinations! Picture yourself wearing your clothes in a new way! Mix and match casuals and formals, colors and different textures! It’s very usual for me, when I’m looking for a good outfit and I run out of clean clothes (pressure is a good thing for some of us), to produce new combinations that turn out to be really impressive! 3. Do some research! Give some money to buy a good fashion magazine, visit blogs, street style sites (like LookBook.nu), have your eyes open when you’re walking the street... Thankfully, fashion is everywhere and you can easily get informed about the trends that are out there! 4. Go online! Shopping is really fun and relaxing for some people, but sometimes tiring and distracting! We end up buying a bunch of pieces we don’t need that will end up hanging in our closet with their tags, just because we were exhausted or out of time! Thankfully, all the big brands have online look-books! Take a look and write down all the stores you want to visit and make a plan of your little shopping adventure! If you are new at this, you’ll realize it’s very relieving to have a favorite brand (or favorite brands) that you trust and you always find clothes in your style and sizes! 6. Ask for help! 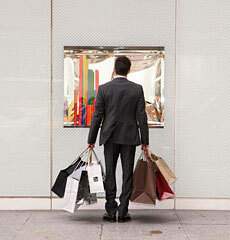 Everyone knows a person that loves to go shopping! As I am one of those people (the stylist wannabe), I’m here to reassure you that we love to help others and have our “being an assistant buyer” fantasy come true! All you have to do is give us a call, listen to our suggestions (you don’t have to follow them, of course) and, maybe, take us for coffee afterwards! Have you any tips of your own? Feel free to post a comment! That sounds great! PLZ subscribe to my posts and feel free to comment! Vielen Danke!